We are offering Isabgol Processing Plant. We are prominent supplier of Isabgol Processing Plant. We are unique supplier of Isabgol Processing Plant. We are engaged in supplying Isabgol Processing Plant. We are famous supplier of Isabgol Processing Plant. Isabgol Cleaning Section: It consists of multiple sieving, multiple purifying, destoning and separating lights. 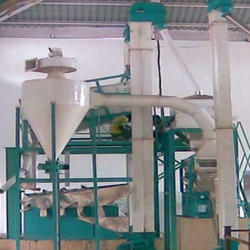 So we can get 99% to 99.9% purity of seed.Isabgol Grinding Section: It is multiple of grinding and husk separating. So it can achieve fractions of husk in stages.Husk Cleaning Section: It is grading and winnowing process to purify the psyllium husk. We are main supplier of Isabgol Processing Plant. We are top notch supplier of Isabgol Processing Plant. - Cleaning, Rubber Polisher, Aspirator, Siever, Grader, Fan, Cyclone, Dust Collector. - Milling, Pin Mill, Dehusking Machine, Husk Separator, Husk Grader, Pneumatic Conveyor, Husk Cone Mixer, Baging.